Morehead Manor Bed and Breakfast of Durham, North Carolina is within walking distance to the Durham Performing Arts Center. Since opening 6 years ago, DPAC has become the center for live entertainment in the Triangle. 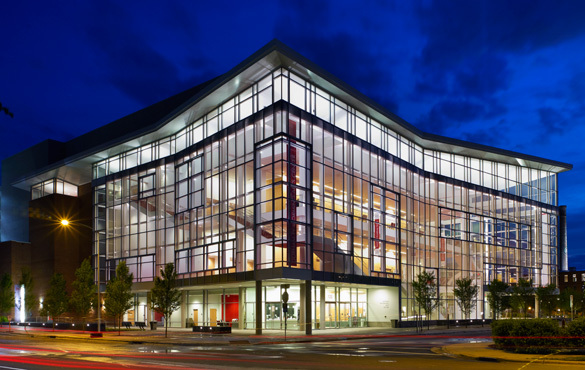 The Durham Performing Arts Center is proud to be consistently recognized with top national ranking and local awards. More than 2 million guests have come through their doors for a wide variety of Broadway, concerts, comedy and family shows. Motown the Musical is Broadway’s record-breaking smash hit that tells the true American dream story of Motown founder Berry Gordy’s journey from featherweight boxer to a heavyweight music mogul who launched the careers of Diana Ross, Michael Jackson, Smokey Robinson, Stevie Wonder, Marvin Gaye, The Temptations, and many more musicians. Motown the Musical shows how one man’s story became everyone’s music when these legendary artists created the soundtrack that transformed America and took the world by storm. Includes over 40 classic songs such as “My Girl”, “Ain’t No Mountain High Enough”, and “I Heard It Through The Grapevine.” Motown shattered barriers, shaped our lives, and made us all move to the same beat. Experience the story behind Motown’s incredible history. The eight Motown the Musical performances at DPAC start February 17 (Tuesday) and end with two final performances on February 22 (Sunday). Content Advisory: Minimal adult language and references. Not recommended for young children. Grammy® Award-winning singer and songwriter Michael Bolton has sold more than 53 million records around the world, has seen 8 studio albums rank in the Top Ten, with nine #1 singles including “When a Man Loves a Woman” and “How Am I Supposed to Live Without You.” Bolton has won multiple American Music Awards and Grammy Awards. He holds a star on the Hollywood Walk of Fame and has been known as People Magazine’s “Sexiest Man” as well as the sensational “Captain Jack Sparrow” in Saturday Night Live‘s viral video with over 120 million YouTube views. In 2013, Bolton released his autobiography, The Soul of It All, as well as a new studio album Ain’t No Mountain High Enough: A Tribute to Hitsville USA, collaborating with Motown legends such as Smokey Robinson and Valerie Simpson, as well as contemporary artists such as Kelly Rowland and Leona Lewis. A prolific songwriter, Bolton has worked with and/or performed with such great and diverse talents as Bob Dylan, Lady Gaga, Patti LaBelle, Ray Charles, Celine Dion, Placido Domingo, Wynonna Judd, BB King, and Luciano Pavarotti. Michael’s songs have been recorded by over 100 artists, ranging from John Legend, Barbra Streisand and Cher to Kanye West, Jay Z and KISS. 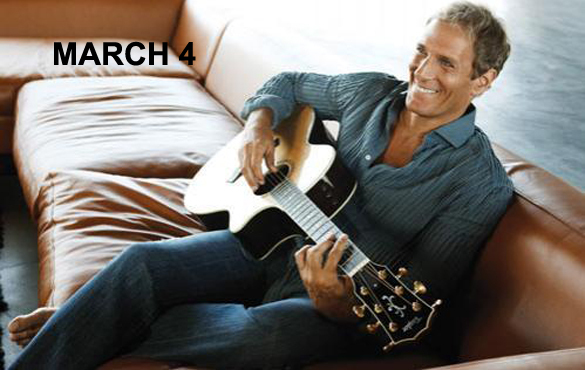 Michael Bolton performs live in concert at the Durham Performing Arts Center on March 4.
explores her personal journey over the last three years, navigating love, loss, and change. celebrates the human ability to grow from our experiences, thrive, and shine on. Sarah McLachlan performs live at the DPAC on March 19. Guests are welcome to stay at Morehead Manor Bed and Breakfast any day of the year. We love hosting guests from all over the world. There is so much for guests to do in the Bull City. Guests enjoy our award-winning restaurants, live jazz music, world class medicine, spectacular shopping venues, major universities, famous sports teams, Broadway theatre, and much more! Awaken to a fresh homemade full breakfast each morning so your day starts off right. We look forward to seeing you! This entry was posted in Uncategorized and tagged Durham Performing Arts Center, Michael Bolton, Morehead Manor Bed and Breakfast, Motown the Musical, music, performances, Sarah McLachlan by admin. Bookmark the permalink.